Felt is a material which is experiencing a renaissance. Not just in fashion but nowadays also in product design and architecture, more and more creative spirits are exploiting the potential of this material. The increasing importance of ecological building materials in architecture and design has ensured that nowadays felt, one of the oldest materials known to humanity, is experiencing a renaissance. Wool fibre or animal hair is processed in water, soap and clay, with the result that the fibre or hair swells and develops a rough, scale-like surface. The fibre is increasingly matted together by constant filling, kneading and pressing until it can no longer be separated. After it dries felt is a material which has useful properties, in particular for ecological interior building work. Felt made of 100% sheep's wool has, for example, low flammability and is at the same time breathable and temperature regulating, because the material can absorb large amounts of moisture and allow it to evaporate again. Because of its fibrous structure felt also has excellent heat and cold insulation properties, while also insulating against sound and vibration. And because felt is made of naturally renewable raw materials it is of course fully biodegradable. Produced on an industrial scale felt can nowadays be supplied in almost any form: thick or thin, light or heavy, hard or soft, flexible or rigid, and in any colour. However, it is this very spectrum of different forms, ranging from traditional handmade material right down to the normed, compression-moulded industrial product, that makes felt such a creative challenge to architects and designers. The reason for this is that in spite of its many and varied possibilities, one property remains constant - the textile quality of the material can always be experienced. Accordingly we see fallbacks in the designs to images of the flying carpet or the traditional coat collar. However, in the architectural field in particular new departures are being explored, as the initial examples interpreting felt as a kind of wall covering show. With 'Fashioning Felt' the Cooper-Hewitt National Design Museum is dedicating a major exhibition to the material. The exhibition runs until 7 September 2009 and is accompanied by a catalogue of the same name. 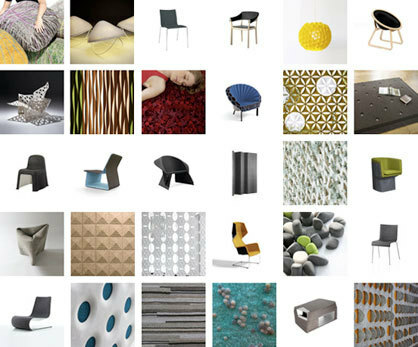 Here Architonic has compiled an extensive and up-to-date overview of the subject of felt in design and architecture. 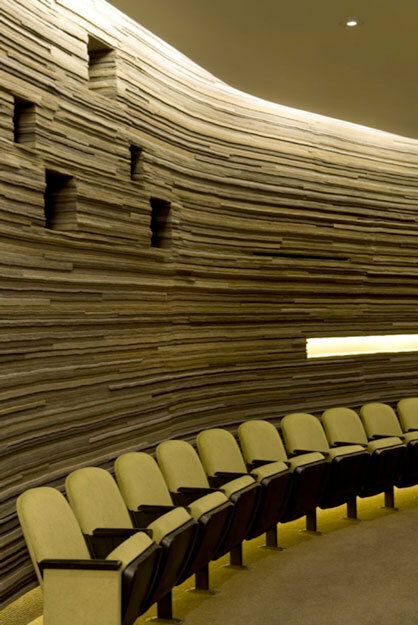 Cork enables innovative production methods and new ways of interaction with the environment. 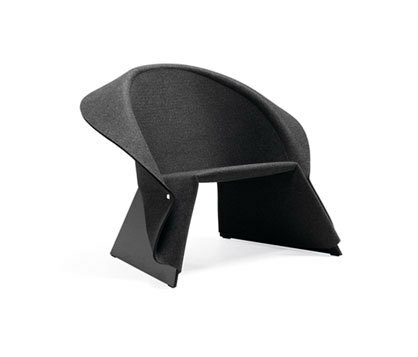 Widely praised as a pioneering force in green trends, this tactile and unconventional material. White. But not as you know it. Newly launched creative materials consultancy Materials Council's inaugural show at this year's Super Brands London neatly demonstrated that there's more than meets the eye when it comes to that most pure of colours.